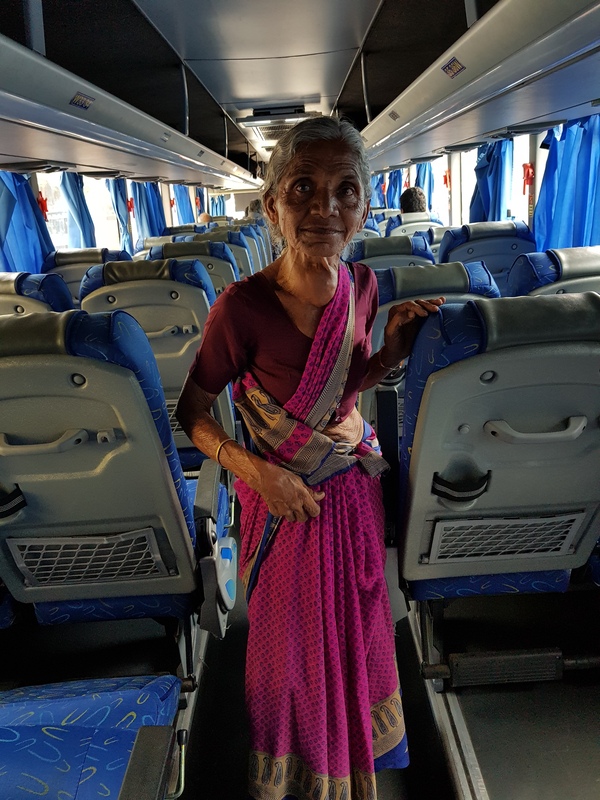 Seventy-year-old Jamma Sheikh, the convivial cleaner of buses, has been a regular feature for the thousands of Shivneri bus passengers who travel from Pune station to Mumbai daily. She is ever smiling, helpful and pleasant all the time – from morning 10 till well up to midnight. Her only daughter and son-in-law passed away many years ago. “I do chew tobacco,” she admits shyly. She has also developed a large lump on her throat, but is not worried. While cleaning buses she comes across stuff that sleepy passengers have left behind. She promptly returns them to the transport office. Not surprising then that some passengers give her sweets, especially during festivals.